In the near future, war is a spectator sport, but someone still has to lose. Hot-shot super soldier Mike Travers is an all-world athlete and American hero who owes all of his success to Roxxon, the corporation that made him the star of the world's most popular sport, Battlezone! His commanding officer, Luther Manning is just trying to get Travers and rest of his platoon off of the battlefield in one piece. When Travers' on-field heroics get the two of them blown to pieces by an enemy grenade, Roxxon pulls out all of the stops to get their all-star back on the field and get their TV ratings back to the top. 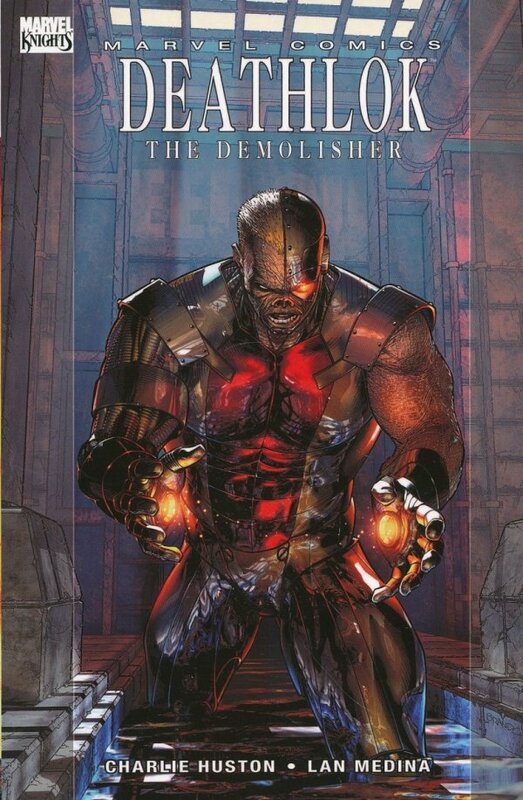 The result is a nightmarish melding of the two men's strategic brilliance and bravado, and a marketing bonanza: Deathlok the Demolisher! 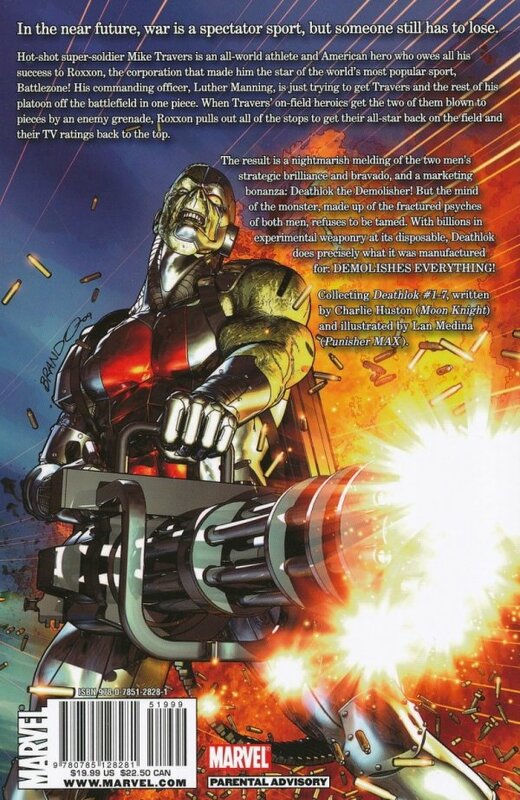 But the mind of the monster, made up of the fractured psyches of both men, refuses to be tamed and with billions in experimental weaponry at its disposable, Deathlok does precisely what it was manufactured for: DEMOLISHES EVERYTHING!